Immaculate, custom built, one-owner home on Lake Lorraine. Country French style exterior-100% antique brick. Interior boasts fresh paint, Custom Woodwork galore, wood floors, french doors, Andersen windows.Welcoming, entry foyer flows into the spacious living & dining rooms w/ bay windows, crown molding. Huge updated, gourmet kitchen w/ stainless appliances, granite, & custom cabinets. Open breakfast area w/ winerack & serving buffet. Beamed ceilings flow into the familyroom w/ brick fireplace flanked by bookcases. Comfortable Sunroom w/ tongue & groove ceiling & ventless firebox, overlooks backyard-cedar deck w/ pergola, gazebo, and Lake. Plush master suite has huge walk-in closet(13x10) & recently updated private bath w/ walk-in shower, soaking tub. 3 add'l bedrooms and Dual entry full bath. 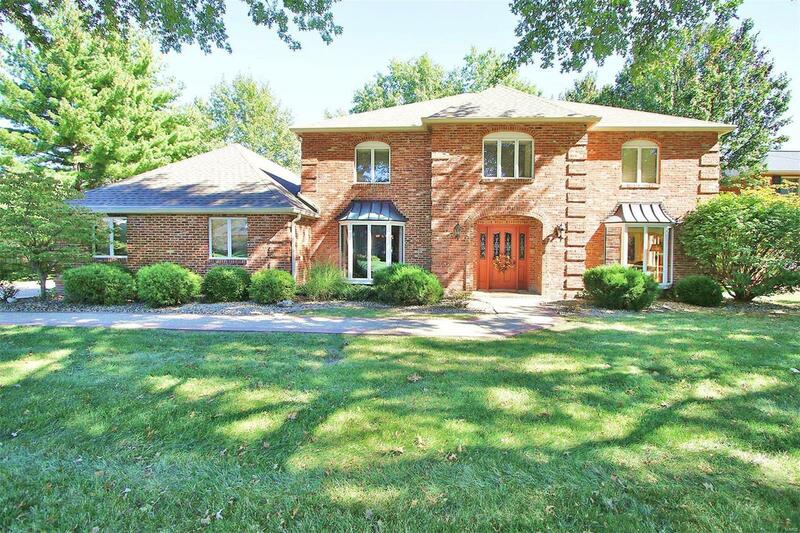 Finished lower level w/ massive wetbar, familyroom, fireplace, media/exercise room, full bath. This house is ready for family entertaining! New roof, downspouts, 6"gutters w/guard. Zoned hvac.